Greetings in the name of Our Lord, Jesus Christ, who is risen! Where ever you are, 6 PM this evening, starts the Feast of First Fruits, as it was celebrated in the time of Jesus. The first day of the week, following the first Sabbath after the first day of Passover. That is the true anniversary of the resurrection of the King of Kings and Lord of Lords. I wish you all the joy and peace that is available to your spirit because He is risen and alive. Celebrate this anniversary with a renewed commitment to your personal relationship with Him, you'll be glad you did!. This event, the resurrection, more than any other, is the cornerstone of our Faith, and Faith demands that we hang our body on God's word, and then suffer the consequence of our action. And, His word tells us, that the consequences are good consequences, as long as our actions are based on the cornerstone of our Faith. God picked the Feast of First Fruits as the day to keep His promise, and raise His son to glory forever, just as surely as He picked the Passover as the time of His death. In His expression of His love for us, God leads a chosen people, through a time in history, when the events of history fulfilled the prophecy of them, while also speaking to the time that this would happen again, when He returns with wrath, in vengeance. As we arrive at that time in history where He returns, His word tells us of the events to watch for, over a long period of time, and leaves mile stones along the way, to mark the time in history so each generation would know their place. The final generation will know it because they would have seen the rebirth of the land of Israel, and as the time drew nearer, would become aware of the meaning of Daniel's time, as the final, end time drama begins to play out on the stage of history. Daniel holds the scheduled time for the promise of His return, in vengeance, to come to pass for those chosen people. But to the Christians, the Feast of First Fruits becomes a promise of God for the future. The voice of First Fruits speaks loudly to the Christian of the promise of the full harvest yet to come, and his part in it. Remember, the full harvest includes the Jews. Paul spoke to that when he spoke of the "Togma's" - marching orders - orders of resurrection - each in his own time. Christ, the first fruits of resurrection, then they that are his at his coming. Who are they? Christ rose first, that's for sure, and Matthew records that after He rose, the graves opened, and many Saints came out of them - resurrected, the 2nd in the order - and went into, and were seen by, many in the holy city. Were these risen Saints His at His coming? If they were, they would fulfill the prophecy of Psalm 68:18, and be those that Ephesians 4:8 confirms. That means they were the captives that Isaiah said that Jesus came to free. And they became captive to Him, and He took them home with Him, at His ascension. In those events are depicted the salvation of man through the seed of Abraham as Jesus redeems the world and God raises Him up, and with Him, all those who God found righteous through faith and takes them up to heaven. God caused the resurrection to come to pass on the Feast of First Fruits, to send a message into the future, that the promise of First Fruits, fulfilled in Christ, passed on to the believers in Christ Jesus, is the promise of the resurrection of those who sleep in Christ, and the catching away of both the living and the wakened together, to be with the Lord forever. And the picture that it paints fulfills what Paul was prophesying to the Colossians when he said that the Feasts of the Jews are but shadows of things to come, but the substance is of Christ. The Jewish feast of First Fruits is a promise of the full harvest yet to come. Each in his own time, Christ the first fruits, then those that are His at His coming, the Church, then the Jews, the man child, the 144,000, then the last 2 witnesses, all caught up! But the "Togma", the marching orders for the Church is next! There will come a day, in the not too distant future, when the picture of this landscape will be upon us, and the time to watch for it is in the Spring! All these feasts, that have been fulfilled in Christ, happened in the Spring! These are the feasts that are casting the shadows up to the day when this all comes to pass. This all occurs at a time, according to Daniel, when the Jews are back in Israel, and in need of a peace with portions of the old Roman Empire, that brings security to the land and the people, and a temple on the mount. Each Spring, for the past 20, as the "window of opportunity" for these Spring time events opens, the anticipation of whether or not we will hear claims out of Jerusalem of know dead being seen by sane people is the joy of Springtime for me. For I know, that when that day ever comes to pass, my redemption is only forty days away! I don't know if this will happen. I'm simply projecting the events of that First Fruits, and that Ascension into the promise made to the Church concerning their harvesting. Paul told the Corinthians that we would not all sleep, that some would be changed in the twinkling of an eye, and told the Thessalonians that the dead in Christ would rise first, then those alive would be caught away together to be with the Lord forever. The stage of history today finds the prophecy of Daniel spilling out all over it, indicating that the timing, locked up in it these many centuries, is upon us. Time has advanced to the point of seeing Israel involved in a process moving towards "peace with security and the temple, and is now in the stage known as the "final status" talks. And it is stalled once again. But Paul also told the Thessalonians that there was a restraining force, holding back the advancement, until the exact moment in time, when that restraining force is taken out of the way, and then, WAM! All hell breaks loose on earth! Well, we're there in time, and we're the restrainers, and, tomorrow is First Fruits! The window is wide open, so keep your eyes and ears tuned to the times we are in. I don't know any more than you if this is the year - but I have treated every year for the past 20 years as "the year", and I will never stop treating this time of year as something special in my life, because this is the time of year when I go home! Alleluia! ps - just a reminder that I am forming a class that studies the scripture that tells the story of the end times. It's called End Time-1A. Email me and I will send you the particulars. Well we have come to another window of opportunity for the Rapture, as we arrive at Spring time 1999. Next week, on April 2, 1999, is the Jewish celebration of Firstfruits. That is the day of Christ's resurrection. As Christians, we have the tradition of celebrating the Resurrection of Our Lord on Easter Sunday. But don't let tradition make void the word of God in your life. Since the Resurrection is the cornerstone of the Christian faith, I thought I might pass along a bit of information about it. As most of you know the Jewish day begins at sundown, and goes to sundown the following day. The timing is considered from 6 PM to 6PM each day. In order for Jesus to have risen at dawn on Sunday, the first day of the week, and have been in the tomb for 3 full days and nights, one would have to consider the following. 1. Dawn to a Jew is at 6PM in the evening, as his day begins and ends at that time. The Hebrew word for sunset and sunrise is the same word. 2. At the time of Jesus, the feast of Firstfruits was celebrated on the first day of the week (Sunday- beginning at 6 PM on Saturday) after the first Sabbath (Saturday), after the first day of Passover. 3. In order for Jesus to have risen at dawn on Sunday morning (6PM Saturday night), and have been in the tomb for three full days, one would have to count backwards three days in order to arrive at the true day of His crucifixion. 4. Doing so, one arrives at Wednesday as the day of His crucifixion, not Friday! Lets do it. Wednesday at 6PM to Thursday at 6PM, is one day. Thursday at 6PM to Friday at 6PM is two day, and Friday at 6PM to Saturday at 6PM, which is Sunday dawn, is three days! Here is a very interesting fact about Firstfruits that precludes anyone else from ever fulfilling the prophecy of the Christ raising on Firstfruits. Above at #2, is the explanation of when the Feast of Firstfruits was celebrated at the time of Jesus. Shortly after Jesus' time, a determination was made that changed that timing. It is said that the passage in the law had been mistranslated, and that the actual day of Firstfruits was the first day after the start of Passover. Because of that change, no one, ever again, could die on Passover, and raise on Firstfruits, three days later! Jesus was the only person in history to have done so! Don't let Tradition make void the word of God. Something else happened on that Firstfruits day after Jesus arose and it's recorded in Matthew, at chapter 27, verses 52 and 53. Matthew is describing the day of the crucifixion, and the events that occurred, and he says . . . ". . . And the graves were opened; and many bodies of the saints which slept arose, and came out of the graves AFTER His resurrection, and went into the holy city (Jerusalem), and appeared unto many." Who were these Saints which slept? Why were they raised after Him, why were they seen and what happened to them after that? Who were they? They're the children of Faith. There's Abraham, that Romans 4 said, had his faith counted as righteousness. The price tag of allowance, that let God credit his faith as righteousness, the blood of Jesus Christ, that as a mediator, in the book of Hebrews, paid the price for every sin, from day one to now, to future. King David, who Romans 4 says, because he lied, he committed adultery, he murdered, he falls short of the law, he never made it in under the Old Testament Covenant. Because the Law said, if you keep it, you'll live in it - if you violate it, you'll die. The only reason David is going to be in Heaven, not because he was king of Israel, not because he kept the law, but because God placed David in Christ, as Romans 4 says, credited David's faith to righteousness, and brings him in on the same basis as the New Testament Church comes in. Moses, the law giver, is there. Not because like no other man, God would hide him in the cleft of the rock on Mt. Sinai and let him catch a glimpse of the brightness of God's presence, until when he came from the mountain, his face shone, and he didn't know it shown and not because God allowed him to talk with His Son on the mount of transfiguration. Moses sinned, but God took his faith, as recorded in the 11th chapter of the book of Hebrews, and credited it to righteousness. Because, Jesus Christ lived the righteousness for us all, died for the sins of us all, and God placed the sins of Moses and David and Abraham and all of them into Christ. During the three days that Jesus spent in the tomb, he preached to the souls of all the dead, and those captives that accepted the covenant of the covering of Christ were raised. Remember in Isaiah 61, one of the duties of the Christ was to set the captives free. Why were they raised after Him? The were raised after Him because Christ was the First fruits of resurrection, and because the prophecy of Isaiah 61, to set the captives free had to be fulfilled. Why were they seen? So there would be a record of the fulfillment of the prophecy. They fulfilled the prophecy in Psalm 68:18 - "Thou hast ascended on high, thou hast led captivity captive . . .". Also verified in Ephesians 4:8: ". . . when He ascended up on high, He led captivity captive, and gave gifts unto men . . ."
What this is telling us is, that when Jesus ascended, he took with Him those captives that He had set free by the blood He had shed. Well, that's all very interesting, but what does it have to do with Firstfruits and the window of opportunity that opens on that day. Paul revealed the mystery of the Rapture to the Corinthians, and he told the Thessalonians that the Antichrist could not come on the scene and be know until after the catching away of the Church. He also told them that the dead in Christ would rise first, then after that, we that remain alive would be caught up together with them. The entire picture painted by the episodes recorded in Matthew 27, Psalm 68, Corinthians 15, Thessalonians 4 and Acts 1, is the picture of the Rapture. In God's plan, resurrections concerning Messiah, occur on the feast (set time) of Firstfruits, and the catching away of the resurrected, Jesus and the captives, was on Ascension day, 40 days later. If this is the picture of the Rapture of the Church, we were given it as a sign, so that we would know and be alert to our redemption as it drew near. We call this time of year the "window of opportunity" for the Rapture, because we don't know if God's calendar and mans calendar are on the same date - most likely not. What we do know is that all of this occurred within 40 days of the feast of Firstfruits. That feast occurring in the Spring. Are we going to see "many" dead in Christ raise on Firstfruits, and will they be seen only in the Holy City? Will that be the sign that the Rapture of the Church is only 40 days away? I believe that we will! God always warns His people! In every instance throughout scripture, God gave a warning before every major move He made against His people. This sign, of the dead in Christ rising, is a sign for both His people. To the Christians, it is a sign that the age of the Church is coming to a close, and to the Jews, the Rapture is the sign to know that Jesus was the Messiah, and they missed Him again, and the time for the last week of Daniel's seventy weeks is upon them. I don't believe God would miss an opportunity like that - warnings to both covenants about their impending fate, all prophesied far in advance in both the Old and New Testaments! Simply this: We have been watching the Mideast for the clues to the "Biblical Time" that we occupy in present time, because we have a landscape on the stage of history at the present time that reflects the prophecy of Daniel to a tee. But, the events on the stage seem to have come to a standstill. Don't be fooled by that! We don't know what is going on behind the scenes. And, we know from scripture, that He will come for us when we least expect it. Not that we are not watching, but that we are watching, and nothing is happening -or at least it seems that way. Seems to me that this might be a perfect time, so we Watch! What am I watching for? First, to see if any reports begins to show up about former known dead being seen. Will they be seen in the holy city, Jerusalem only? I don't know. But that is where I will be watching the closest. But, the reports can come in from anywhere. If this is the year, I fully expect it to begin with that sign, so stay alert! I believe the "window of opportunity" for the occurrence of the Rapture of the Church for 1999 has begun, and won't close until at least two weeks after Pentecost. God bless, and thanks for listening. I have been wanting to write this commentary for a week now, but the Devil got into my computer and crashed it - but that is not unusual. Luckily I'm a backup freak, but Satan got his licks in there also, and destroyed the drive where I back up my hard drive, so I guess what we are doing is very irritating to him. Good!! Well, it took four days, but I am back up and running, and have restored most of the programs that were lost. Some of my data however will never be seen again, so he got me a little. My answer to him is: Get thee behind me Satan, and out of my computer, in Jesus' holy name! And I hear a loud Amen from all of you - thank you, I needed that! Well, the question is, what next? The death of King Hussein, while tragic, is no different than the death of Cyrus the Great, during the time of the Medo-Persian Empire. Then Empire went on, the Jews rebuilt the city of Jerusalem just as Cyrus had decreed, even though he had died in the meantime and his successor ascended his throne. King Hussein filled the role that God has laid out for him, and began the long road to the final days of the Jews as forecasted in Daniel. Although he will not be the person who rises to become the Antichrist, he was the one to create the atmosphere into which the continuing drama of the end times will be played out. In his place, his son, King Abdullah has taken up the role of the Little Horn on the stage of history, and now our watch will be centered on him. It is no different than Belshazzar replacing Nebuchadnezzar - remember, it all started way back then, and has been evolving right up to today. God is not deterred from His plan one iota, so neither are we! King Hussein just didn't live long enough to see the work he started, come to pass. But, as long as we are alive, we will keep watching, and I believe we will see our redemption come to pass, only it will be under the new King. The article I have chosen to demonstrate the true feelings, and goals of the Hashemite King, illustrates what the problem in the Mideast is, and why the peace when it comes, after we are gone, will be a false peace. It practically defines why the uprooting will take place, while showing how time has evolved the Moslem Empire, into the seventh Empire emerging out of Babylon, and how the Hashemite Kingdom is the Kingdom from which Antichrist will come. History must to be believed, because that's the way it actually happened! Daniel teaches us that out of Babylon will emerge on the stage of history, five Empires. Babylon, Medo-Persia, Grecia, Rome, and a final end time Empire. John, in Revelation teaches us that there are seven Empires, five of which had fallen before John's time, one was in power during John's time, and one was yet to come, after John's time. The five that had passed were: Egypt, Assyria, Babylon, Medo-Persia and Grecia. The one in power at the time was Rome, and the one yet to come was in the future. That future Empire, history shows, was the Moslem Empire, created by Muhammad, the prophet of Allah, which sits atop the same piece of land again. Then Daniel tells us that the Antichrist will rise from out of the Seleucid portion of the Old Grecian Empire, and again, history shows us that the kingdom from which Muhammad ruled the Moslem Empire was his kingdom, the Hashemite Kingdom, which sits within the borders of the Seleucid Kingdom. This article shows how the Hashemite Kingdom is evolving on the modern day stage of history, and why we are watching the Hashemite King, no matter what his name is today. So, do not be astonished or dismayed that King Hussein has passed from the scene - King Abdullah now sits upon the Hashemite Throne, and so our watch is the same as always, only with a different name. I have prepared a book from my teaching class on Daniel, The Mideast and The Rapture of the Church. This book will really help anyone in understanding today's stage of history, and is a great way to introduce all your friends, relatives and fellow church members to what's going on and why you watch. If you would like to have a copy, email me, and I will send you the information. King Hussein's death causes us to reflect on the origins of Jordan and the other nation-states in the region. Their origins help explain their present and future. The region's nation- states have their origins in political accident, confusion and hidden agendas. Hussein of the Hashemite's, came from a family that had governed Mecca for seven hundred years. Driven out by the Saud tribe, Hussein's mission was to remain alive and in power so that he or his heirs could one day return and reclaim this place of honor. Palestinian issues, Israel, Iraq were for him tactical issues, matters of transitory importance. He did not expect to return in his life or even his children's, but memory is long among the Hashemites and everyone else in the region. Long memory and patience marked King Hussein's life. Men who never forget and are infinitely patient are unlikely to be willing to make lasting peace, no matter what they say. They will simply wait and remember. That is why there can never be more peace in the Middle East than there is now. This is as good as it gets. The death of King Hussein causes us to reflect about the origins of Jordan as well as those of other countries in the region. When we think about these things we realize that God truly has a marvelous sense of humor. The history of the region in the twentieth century can only be described as both absurd and deadly. Most important, in spite of King Hussein's apparently sincere dedication to the concept, the idea of a comprehensive Middle Eastern peace should be met with gales of laughter from all reasonable people. Rather than thinking about the future as we usually do, the death of Hussein of the Hashemite is an occasion to reflect on the past. Until the end of World War I, Ottoman Turks ruled the area from the Mediterranean to the Persian Gulf, as well as the entire Saudi peninsula. Allied with Germany, the Ottomans struggled to hold on to an empire that had been in retreat for centuries. The British badly wanted to defeat the Ottomans. Having built the Suez Canal, which gave them rapid access to India and China, they had to protect it. They needed to secure the sea-lanes of the eastern Mediterranean and drive the Turks away from the Canal and its approaches. The British conducted a series of campaigns to break the Turks, including the disastrous Gallipoli landings and the more successful invasion of the province of Syria by General Allenby, who was supported by a Bedouin army recruited from the Arabian peninsula. Controlled by British intelligence and special operations teams, including that of the famous Lawrence of Arabia, they first loosened Turkish control over Arabia and then supported Allenby's attack on Jerusalem and Damascus. King Hussein's tribe, the Hashemite, was the engine behind the operation. The British were allied with the French, which meant they had to share the spoils of war. The British kept Iraq and the Arabian Peninsula for themselves. They did agree to divide the Ottoman province of Syria, which contained today's Israel, Jordan, Lebanon and Syria. The division, codified in the then secret Sykes-Picot agreement, was extraordinarily arbitrary. A line was drawn through the province. Everything to the north would be French. Everything to the south would be British. 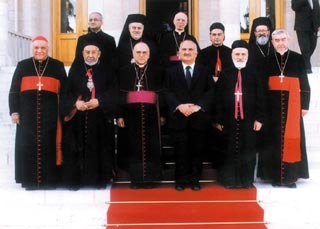 The French had been making trouble in this area since the 1880s, when they had intruded into another Lebanese civil war, siding with Christian factions. The French owed the Christians a great deal. They also wanted to cement their control of the region by creating a pro-French Christian state. The Christians were at the time in the majority (they no longer are), but the area reserved for them contained Shiite, Sunni, and Alawite Muslims, Druse, and a wide variety of Christians. The religious groups were further divided among themselves along clan lines, with some of the bitterest hatreds dividing clans of the same religion. The nation was a contrivance without any reality. It didn't even have a real name, so they named it after a prominent geographic feature, Mount Lebanon. It was as good a name as any. Fortunately, the French ran out of ideas for improvements and left the rest of Syria intact, not even changing its name. They did, however, get rid of the Hashemite King the British had selected. The British gave him the consolation prize of the Iraqi throne. The British were busy double-crossing everyone. They had made many promises to many people. They had promised various competing Bedouin tribes that they would be given responsibility for Mecca, just as they promised in the Balfour Declaration that they would give the Jews a homeland while they also promised the Arabs that they would control their own destiny. They were particularly close to King Hussein's tribe, the Hashemites, who had governed Mecca since the 13th century. Having spearheaded the British campaign against the Ottomans, you might have thought that the Hashemites were in good shape. Unfortunately, a rapidly rising Bedouin tribe, the Saud who were Wahabi Moslems, had become more powerful than the Hashemite, and the British double- crossed the Hashemites, turning the Arabian peninsula and the guardianship of Mecca over to them. The British had to figure out what to do with the Hashemites. The royal family could be given thrones, but the tribe itself had to get out of Arabia, since they would be torn apart by the Sauds or, at the very least, destabilize the region. The British decided to settle them in the middle of nowhere. There was not a whole lot east of the Jordan River, so the British decided to put them there. The region had no name, since it was primarily a wasteland of little interest to anyone. So they named it for where it was -- the other side of the Jordan or, to be fancy, Trans-Jordan. After independence in 1948, the word "trans" was dropped out and the modern state of Jordan or, to be more precise, the Hashemite Kingdom of Jordan was born as a homeland for a displaced band of Bedouin with nowhere else to go. The rest of the "mandate" was left with the same name it had when it was a county within the Ottoman province of Syria, Filistina, after the Biblical people that produced Goliath. The British kept that name and it became bastardized into English as Palestine. And so the modern map of the region was born. Palestine consisted of small villages surviving on agriculture and small merchants. Divided among Moslem, Christian, Druse and Jewish communities, much of the land was owned by absentee landlords. The people of Palestine had as much in common with the Bedouins across the river as a New Yorker has with a Montana cowboy -- enough not to like each other a lot and not to understand each other at all. They were now all neighbors. So, the French invented Lebanon, the British invented Jordan, a county became Palestine, and the Syrians claimed everything. Then the Jews showed up. If things weren't wild enough before, Jewish intellectuals from Poland, who argued the finer points of German philosophy, decided to come and farm in the middle of this insanity. The fact that they couldn't speak Arabic merely added to their charm, since they also knew nothing about farming. Jews living in London purchased the land from Arabs living in Paris and Cairo, thereby throwing people who had farmed the land for generations off their land. Out of this, the State of Israel was born. There is no point in going on. You get the picture. The Jews settled primarily along the coastal plain as well as in the Galilee. There were relatively few settlements in what is today the West Bank. The Lebanese were not unhappy with creation of Israel, since they were Christian and liked anything that gave the Moslems a headache. The Hashemites were not too unhappy either. They had never really gotten along with their Palestinian brothers. After the War of Independence in 1948, the West Bank remained under Arab rule. Since at that time no one had yet thought of an independent Palestine (the main thinking was that Palestine belonged to Syria), governance of the West Bank fell to the only Arab country physically connected to it, the Hashemite Kingdom of Jordan. This was big trouble for the Jordanians, since the Hashemites didn't like the Palestinians and the Palestinians didn't like the Hashemites. Hussein's grandfather held secret talks with the Israelis on a peace settlement designed to keep the Palestinians under control. Unfortunately for him, the peace talks didn't stay secret and he was assassinated. From 1948 until 1967, Hussein, who succeeded his grandfather, was in constant danger from the Palestinians. In many ways he welcomed the Israeli conquest of the West Bank, since it made the Palestinians their problem rather than his. Unfortunately for him, there were masses of Palestinian refugees living in Jordan after 1967, who decided that it was time to get rid of the Hashemites and create their own state. They tried to do just that in September 1970. Unfortunately for them, the Bedouin Army that had been trained by the British not only defeated the Palestinians but conducted a brutal massacre, securing the Hashemite throne from its only real threat, the Palestinians. The "Black September" massacre had two effects. It directly spawned a wave of Palestinian terrorism and it turned King Hussein into a wise statesman. Having taken care of his Palestinian problem, he could now take the long view. In fact, the last thing Hussein wanted to see was a Palestinian state. Such a state, bordered by Israel and Jordan, would inevitably seek to topple the Hashemite throne in order to break out of an impossible encirclement. Hussein's brilliance was to appear to be an urbane man and wise ruler utterly dedicated to peace while doing everything possible to prevent the emergence of an independent Palestinian state and shifting the blame to Israel. We suspect that he was much relieved, if not very surprised, when the Oslo Accords fell apart. The last thing Hussein wanted was Yasir Arafat feeling hemmed in on the other side of the Jordan. His mortal enemies, the Saudis, still rule Arabia (and we wonder how much Hussein's support for Iraq in 1990 had to do with dreams of a return to Mecca after the defeat of the Saudis). Syria still claims the entire old Ottoman province including Jordan. No one knows what Saddam in Iraq will do next. Hussein's exiled Hashemites had more than enough to worry about. The last thing he wanted to see was an independent Palestinian state threatening his throne in the year 2000 as it had in 1970. So he acted the peace maker at the Wye Plantation meeting, content with the knowledge that nothing could possibly come of any of it. King Hussein's life and the recent history of the Hashemites embody the wildly improbable history of the region. The heir to seven centuries of Bedouin nobility, his presence in Amman was pure accident and in many ways, utterly temporary. The Hashemites eyes were always on Mecca and the usurper Saudis. Israel, Palestine and all the rest were detours in Hashemite history. Hussein was patient, but then everyone in the region has learned to be patient. Patience and long memories are part of the region's geopolitics, the one common denominator of all nations and states in the region, regardless of the name they were given by the last duplicitous conqueror. The point to all of this is that there are no permanent solutions to the region's problems. All of the current structures are merely temporary and artificial, some without any real substance at all. How does one make peace in Lebanon when Lebanon is neither a nation nor a state? How can Syria, which sees itself as the rightful heir to Jordan, Israel and Lebanon, give up its inheritance without giving up its identity? How can Israel, which cannot decide if it is the Third Temple or a place to produce low-cost microprocessors, make a lasting peace with a Jordan whose real interest is to dream of a return to Mecca and 700 years of greatness? Hussein's death reminds us that there is nothing permanent in this region save perpetual instability. What we have now is as good as it will ever get. This is something that Hussein understood. He did not believe in lasting solutions. He believed in permanent, unchanging interests, the patience to wait until they become possible, and the skill to stay in power to take advantage of the day, when it comes. Hussein managed to die while still king of the Hashemite Kingdom of Jordan. That in itself was his great achievement. There were many times that people would have given long odds against him pulling that off. Hussein endured, survived, waited and remembered. The rest was meant for speeches at Harvard University. Hussein's secret mission was to survive and to never forget his lost inheritance. That is everyone's secret mission in the region. That means tension, conspiracy and war. The best that can be hoped for is temporary periods of relatively little mayhem. Peace is out of the question. Many conquerors have come into this region from the outside, dreaming of permanent empire. They all have gone away, many broken by the experience. American dreams of permanent, stable arrangements would be funny, if they weren't so dangerous. Well, what do you know? Just last week I said that if this year's window for the Rapture was going to take shape, something would have to get hot real fast. You just got the News Update where I told you that the Mideast was very quiet. In response, a Watcher in Australia, wrote and reminded me of lost of incidents that had happened in the past week in the Mideast. Although that is a true report, and I thank him for watching so closely, I was looking for something else, other kinds of activities, and I haven't been finding it, so it has been quiet in that respect, and that is what I meant by my remark. The Peace, and the final status talks are key factors in the equation of the end time scenario. They are the events that dictate the speed at which we approach the first day of Revelation 6, the day the man on the white horse ridden by the Daniel's Little Horn, comes riding in, on the first day of the Great Tribulation. If that is so, then the Church, the Body of Christ will have already been Raptured. Oh, you have your wars, and rumors of wars, your earthquakes in diverse places, and all the rest of the signs of the end times, but Daniel is the Key! Because God sealed the words of Daniel, to be seen only at the end time. Unless the events of Daniel's prophecy are clearly seen on the present stage of history, then it's not end times. The circumstances of the scenario that is occupying our present stage of history, bears a remarkable resemblance to the scene playing out at the point in Daniels prophecy where the Little Horn character is emerging and is clearly visible, both in person and in deed. That is what we are watching. Each day for the past 2 years we have been watching together, these circumstances march us right up to the gate of the key factors, Final Status talks. If this is the time, the end time, and the events leading to it are on stage, then we are at the Final Status talks in time. From all the plans, the goal was to complete the peace by May 4, 1999. Can they do that? I don't know. I am not a prophet, I am a Watcher, just like you! The attached article demonstrates the pressure that is building over the delays in completing the peace. The powers of world are willing to settle for a forced agreement (a false peace), in order to stabilize the oil region with closely held client regimes, in order to gain control of the oil. King Hussein just got home, and guess what, the USA just got him a little more money. Another $100 million this time. That's in addition to this years allocation of $225 million. The Jordan Times reported the extra assistance to Jordan was the main issue of discussion during His Majesty King Hussein's meeting with President Clinton on Jan. 5 at the White House. If this is all going to move quickly, like a leopard, then I would be watching for the King (he's the present, and only King now occupying the land of the former Leopard Kingdom) to make some kind of move to hasten it to pace. He's anxious I am sure. His little country is always in jeopardy. Jordan exists on the edge of a sword. Remember, Iraq (Babylon) is the Hashemite Homeland, and Jordan is the Palestinian Homeland. Is the West dangling Iraq under Hussein's nose? Could a piece of Jordan be up for sale to the Palestinians? The US already cooperated in a coup attempt to get Saddam out, to open the door. Remember, it was during the time of the Medo-Persian Empire, that the order was given to rebuild the city of Jerusalem, that started the clock ticking towards Daniel's final week. The act of a compassionate King , allowing the Jews to form a Theocracy, in a portion of his Empire. Could that be the scenario that will play out for the Palestinians, and bring peace to the Mideast? I don't know. Is that a possibility? God's in control! When you watch as closely as we from the Daniel perspective, the behind the scenes meetings, financial arrangements and saber rattling, are viewed as events leading to the conclusion we know is inevitable because of the prophecy. We also know that God is in control, and He said Watch! What a great show He's putting on! I love the characters and those names - their all so Biblical! It's like watching David against the Hittites. Only now we get the recap of the days action on the Internet and in our email boxes. It's the old saying being borne out - "Nothing changes ‘cept the changes - everything else stays the same." I don't know about you, but this is a very exciting time for me. Happen or not, the suspense and anticipation of waiting to see what the next day brings, and how close we are getting, gets breathtaking sometimes. If you follow our teaching on the Rapture, then you know that our window is in the Spring, around the time between the Resurrection and Pentecost. My feeling is that the pace agreement would have to be nearing a finalization point around that time, in the year the Rapture will happen. But, that is speculation. We won't be here to see it in any case. Thanks for listening, and God bless. Here is your confirming article. KEY STATEMENTS: Beilin said that under the plan he put to leaders of the European Union, the EU would promise Arafat to support Palestinian independence and press Israel to stop building Jewish settlements in occupied areas in exchange for a seven-month delay in his statehood declaration. Palestinian officials and Western diplomats said earlier this week that the United States, backed by Europe, has put forward a proposal to delay any statehood declaration until the end of the year in exchange for international support for Palestinian self-determination. Washington, Europe and the Labour Party fear that the tensions created by a May 4 declaration by Arafat would boost the chances of Netanyahu and other Israeli hardliners in national elections scheduled for May 17. OCCUPIED JERUSALEM (Agencies) — The European Union (EU) denied Wednesday that it was pressing Palestinian President Yasser Arafat to delay his plans to proclaim an independent state from May until the end of the year. "For now, the EU has no position on this issue," the EU's special Mideast envoy, Miguel Moratinos, told AFP. "We are in discussions on the matter with both parties," said Moratinos, who was in Jerusalem with visiting Irish Prime Minister Bertie Ahern. Moratinos was responding to remarks by a senior member of Israel's opposition Labour Party, Yossi Beilin, who said the 15-nation EU had agreed to issue a public appeal for Arafat to delay his statehood declaration. Beilin told Israel Radio earlier in the day that the EU had adopted a proposal he has been promoting for months to break the deadlock in the peace process and avert a major confrontation in May. "Under my proposal, Israel will declare itself ready to recognise a demilitarized Palestinian state, without its borders and its capital being defined, and to leave 50 per cent of the West Bank, if that state is proclaimed on January 1, 2000," Beilin said. Later Wednesday, Prime Minister Benyamin Netanyahu said that even if Arafat postpones a declaration of statehood until the end of the year, Israel will not resume West Bank troop withdrawals promised in recent peace accords. Netanyahu, who staunchly opposes Palestinian statehood, told reporters that it is not enough for Arafat to postpone the declaration. Netanyahu said he must agree to negotiate on a permanent settlement, and also carry out other commitments he made in the Wye accord, such as clamping down on Islamists opposed to peace with Israel. "If he carries out all his commitments... then yes, I think we would be able to move forward," Netanyahu told reporters. The Palestinians maintain that they are carrying out their obligations and have accused Netanyahu of putting off the withdrawals in an attempt to win votes from hard line nationalists when he is up for reelection May 17. Netanyahu made his comments while campaigning at Jerusalem's Mahane Yehuda street market, a strong-hold of right-wing support. The right-wing government of Netanyahu has vowed to respond severely to a unilateral declaration of independence, notably by annexing parts of the West Bank still under Israeli control. Beilin said that under the plan he put to leaders of the European Union, the EU would promise Arafat to support Palestinian independence and press Israel to stop building Jewish settlements in occupied areas in exchange for a seven-month delay in his statehood declaration. Moratinos insisted, however, that official EU policy at this point stopped short of backing Palestinian independence, an issue he said should be negotiated between the Palestinians and Israelis. "We respect the Palestinian people's right to self-determination and do not exclude the option of statehood," he said. The Palestinians assert that they have the right to declare a state May 4, when the five-year interim period set out in the Oslo peace accords expires. They have become more determined to act unilaterally given the Netanyahu government's refusal to carry out further Israeli withdrawals from the West Bank required by the U.S.-brokered Wye River peace accord signed in October. Netanyahu has frozen the Wye accord, accusing the Palestinians of violating their security promises under the agreement. Saeb Erekat, the chief Palestinian negotiator with Israel, said Arafat did not rule out a possible postponement of the statehood declaration under certain conditions. He told AFP that if the United States, Europe or other countries which sponsored the Oslo peace accord "meet and propose something definite, the Palestinian leadership is ready to study it." But he said these governments would also have to take "a clear position to force Israel to stop unilateral actions, especially Jewish settlement activity, and to implement [the] Wye River agreement." "They also have to declare their support for the Palestinian right to self-determination, which means clearly an independent state within the 1967 borders and with Jerusalem as its capital," he said. "SETTING THE STAGE IN ISRAEL"
King Hussein is out of the hospital, pronounced cured, and on his way home! Many of you who saw the picture of King Hussein at the Wye Summit (http://www.chn-net.com/news/pp.html), wrote to me and asked if I saw a connection between the way he looked and Rev.13:3. Although Rev.13:3 is describing a "spirit" head who was, ". . . wounded as to death, and whose deadly wound was healed . . .", many scholars are looking for a physical manifestation of a dead person coming back to life (as a type of Jesus' resurrection), as a sign of the Antichrist. Since history is manifesting King Hussein as the "little horn" character of Daniel's prophecy, and the man on the white horse of Rev.6, it will be him, according to scripture, that will finally rise to the status called for in the prophecy, so he can be at the right place at the right time to be possessed and emerge as the Antichrist. Scripture says that the end time kingdom is the 7th kingdom and out of it comes the 8th kingdom, the AC's kingdom, and that He, the king of the 7th kingdom, will be given a mouth to speak great things. Remember, at the time of Johns vision, he was told that there are 7 kingdoms, and 5 are fallen, in Johns day. And, even though Daniel starts with Babylon (head of gold), there were 2 kingdoms already passed that had suppressed Israel - Egypt and Syria. So, the kingdoms that had fallen in John's day were: 1. Egypt, 2. Syria, 3.Babylon, 4. Medo-Persia and 5. Grecia. One was, during John's time, Rome - #6, and one was yet to come - a latter day kingdom, #7 - The Hashemite Kingdom of Muhammad. And, the 8th, AC's kingdom, is of the 7th. That's Scripture! And in Daniels prophecy, when the stone cut from the mountain, without hands, falls on the head of gold, Babylon, it crushes all the kingdoms that come out of it, and they are laid waste to the point that they are described as broken into pieces small enough for the wind to blow them away as the chaff on the threshing floor, and they will be seen no more. That means when Jesus returns to rule, every kingdom that grew out of Babylon will be gone. Babylon, Medo-Persia, Grecia, Rome (eastern), Hashemite, and Antichrist. The only other kingdom in history on that very land described by God in Daniels prophecy is the Hashemite Kingdom of Muhammad (the Seleucid portion of the Old Grecian Empire). That makes it the 7th kingdom, out of which the 8th kingdom (AC's kingdom) comes to power. All of that territory that is covered by that kingdom was also part of the Old Roman Empire (eastern) at one time. But, the Hashemite Kingdom was born in the 600's AD, the last one. It is the 7th Kingdom of Daniel, and it's present king on the stage of history is King Hussein of Jordan. And the irony of it all, is that Jordan is the true Palestinian Homeland! Saddam sits upon the throne of the true Hashemite King who sits on the throne of the Palestinians. And God's people, the Jews are at peace with the King, and attempting a peace with the Palestinians. The King no doubt wants his Kingdom back. He considers the people of Iraq, his people, and has vowed to put Hashemite rule back there someday. The Americans have already concluded that the King would make the best "client regime" leader for Iraq after the fall of Saddam. In fact, scripture says that the peacemaker of Rev.6, is given a crown in honor. I see that to be the true Hashemite crown. That is what would put the little horn of Daniel (King Hussein, historically, who is the true King of the 7th kingdom), in the right place at the right time to become the physical person ruling the 8th kingdom (AC's). How all of this will come to pass is yet to be seen, and most of it will not be seen by the saints that are Raptured, as the Rapture occurs prior to this scenario's completion. The restoration of the true Hashemite King to his true throne occurs sometime in the first 3.5 years of the Great Tribulation - and we will not be here for that. But, the events leading to that conclusion come out of the peacemaking efforts of the "little horn" of Daniel, Peacemaker of Rev.6. Those events, we are witnessing on the stage today. The peace that unlocks the temple mount, and brings security to Israel is the next scheduled event. We are seeing the prelude to peace. The great struggle that at some point will lead to peace is underway, and up to the point of final status negotiations. Why then all the problems - why not just make peace and be done with it? That is what the scripture call for - right? Well, the answer lies in the scripture once again. Scripture tells us that at the time of the end, Egypt's king will be hawk, a warrior, and we have that piece of the set, in Mubarak, already on stage. And, at that time, the king in Israel will be a dove. Presently, Israel also has a hawk, Netanyahu, sitting on the "throne". The set is out of order to the prophecy at present. When I began this watch, many years ago, the incident I watched was the peace between Egypt and Israel. Some preachers were touting it as the peace of Daniel 9:27. Upon examination of the circumstances, I determined that it was not the peace itself, but the beginning of the end times peace. My reasoning was the same then as today. The stage was incorrectly set. At that time, Sadat of Egypt, was a dove, and Begin of Israel was a hawk. Just the opposite of what is called for in the prophecy. So, it could not have been then, and as history has shown, it was not. But, it was the beginning of the end times events that have lead us to this point in time. Netanyahu is all wrong for the peace. He is a Likud, a Hawk! He can't make peace, because the people who put him in power are against it. He must vacillate on every decision in order to retain his political position. That won't get the job done! So, as God would have it, it seems to be time for and alignment on stage. Bibi seems to be losing his grip on his coalition, and probably will be replaced by a dove in the Spring. If that happens, look for much faster progress on the peace front. Look for the King, the newly restored from his deadly wound King, to do something very dramatic, that will be the answer to the peace. If this Spring is the time for the Rapture, then it will be happening soon. It will get the peace off dead center, and get it moving in a real big hurry. But, first, the doves have to come into power in Israel. If, all this comes to pass, then I have this to say about the physical manifestation of a deadly wound being healed, which spawned this analysis: To me, it certainly would qualify as a physical manifestation of fulfillment of that prophecy. Of course, my hope is that on this coming Ascension, we are caught away to be with Our Lord forever. God is in control, so we will see, won't we? Here is today's article about the King. Key Statement: His Majesty King Hussein "has fully recovered from his illness" and has left hospital to convalesce in Washington and London before returning to Jordan soon. AMMAN (J.T.) — HRH Crown Prince Hassan, the Regent, Tuesday told Jordanians that His Majesty King Hussein "has fully recovered from his illness" and has left hospital to convalesce in Washington and London before returning to Jordan soon. Quoting a letter to the nation sent by King Hussein, the Crown Prince said that "results of the tests (conducted on His Majesty in the past few days) are better than the doctors had expected." Jubilant and visibly moved, Prince Hassan told Jordanian and Arab television viewers that "a few days of recuperation will pass before he (the King) arrives in Jordan." After the Regent broke the news of the King's total recovery after completing chemotherapy treatment at Mayo Clinic in Rochester, Minnesota, Jordan Television anchorman Bashar Jarrar told viewers that His Majesty's private plane had just landed at Andrew's Air Force Base in Washington. "We will first depart for Washington D.C., where we will stay for a few days before leaving for London, and then, God Willing, for Amman, to be in the dear homeland with my dear people and family," the King told the Regent in the letter. King Hussein was hospitalized` on July 14 for treatment of cancer of the lymph glands. After undergoing six sessions of chemotherapy treatment the King was declared free of cancer but was given a transplant from his own bone marrow as a precaution. I break to you the joyous news that His Majesty King Hussein, the King of hearts and minds, my dear and beloved brother Al Hussein Ben Talal, may God keep him victorious, has fully recovered from his illness. Doctors at Mayo Clinic have given permission for him to leave the hospital after having successfully completed his treatment. As you listen to my words now, His Majesty King Hussein would have left the hospital on board his aircraft, beginning his journey to the homeland and the Jordanian family whom he loves and who loves him. A few days of recuperation will pass before he arrives in Jordan. Today, I received from His Majesty a Royal message which he has asked me to share with you so that we would all join in our feelings of happiness, and together pray to God thanking Him for His mercy and blessings. "Greetings of love, longing and appreciation." "We, God willing, will leave Mayo Clinic in the morning of Tuesday. Dec. 29, 1998. The medical team has permitted that after six cycles of chemotherapy and a bone marrow transplant after ablation of all lymphoma cells in the bone marrow. We will first depart for Washington, D.C., where we will stay for a few days before leaving for London and then, God willing, for Amman to be in the dear homeland, with my dear people and family. The reason for taking a few days on the way home is recuperation for the purpose of regaining my normal strength. Doctors here and their colleagues elsewhere in the United States are pleased with the results of the tests that were taken as we conclude our stay at Mayo until we return for a new appointment next March. The results of the tests are better than the doctors had expected. Thank God for His mercy and blessings. The family and I here have decided to inform you of the good news as soon as we got it so that you announce it to our family in the beloved Jordan and to all who wished us well all over the world. May God reward them and bless them. "Peace be upon you, and God's Mercy and Blessing, my brother." God's blessings in this Holy Month have multiplied with the return of His Majesty King Hussein, my beloved brother. I pray to God Almighty to protect our country and nation, and give us His support. "When my servants ask thee concerning me, I am indeed close to them. I listen to the prayers of every suppliant when he called on me." God the most great speaketh the truth. Awaiting the return of our leader, His Majesty King Hussein, I convey to you all my love and greetings. The attention of the worlds press, of course, has changed focus, from the Mideast, over to impeachment, and back to the Mideast and on to impeachment all at the same time. But the focus in the Mideast is the relentless attack on Iraq and the prolonged Israeli/Palestinian antagonisms that are delaying the peace process and threatening Netanyahu's government. Viewing these acts, as to their relevance to the Biblical time episode that is being enacted on the worlds stage of history today, gives one a perspective on what the real time events are, that are fulfilling the destiny of the prophecies. The question in my mind asks this: Will the present actions against Iraq be the downfall of Saddam, and if so, is this the uprooting of one of the three? This is what we are watching for! If that comes to pass, then we will have witnessed a mile stone in Biblical time in the fulfillment of the real time event. The little horn character would then have reached a point in his rise, where the government of his true kingdom is now available for him to occupy. Watching how that comes to pass in real time will be exciting! But first, Saddam's rule must topple. So, keep watching for that. On the Israeli/Palestinian front we have the conflict in the Jewish government over the peace. Netanyahu is struggling to keep his coalition together and faces a no confidence vote on Monday. President Clinton boosted the process along with his visit and speech to the Palestinians. The majority's willingness to advance the trusting process shows in the spirit in which they unanimously voted to amend their charter. But, Bibi is playing his hard line role to satisfy his political position. Aint politics fun! But, God's in control, make no mistake of that. The fun of watching is in the speculation of what's next, and how the real time events might lead there, and then to witness how it actually came to pass. The feeling of exhilaration comes because you witnessed another of the milestones on the road to the Rapture, and that you were awake to see it! The only comment I can make about the Impeachment is that it strengthens our conviction that we are in the Biblical end times, because in those days it would be the time when the lie became the truth and truth the lie. Pious and patriotic rhetoric from men of equal corruption judging each other, based on political motivation driven by a desire for power, while the majority of the populace apostatizes, falling away from truth and forgiving the lie because of it's nature, and then is willing to continue to be led by the perpetrator, certainly is a clear manifestation of God's word concerning the general mood prevailing among men during the end times. All of the elements of the prophecies are rising onto the stage of history simultaneously. In order for the stage to be set, everything must be in it's place. The event that starts the seven year count down is the confirming of the Peace. The event that permits that to occur is the removal of the restraining force, us, the Church. We have arrived at a point in real time that is manifesting itself as having come to the narrows of it. The final status talks lead to the beginning of the end. Although again temporarily stalled, the commitment to peace will prevail. We believe that all those who died "in Christ", and all those alive at the time, who are "in Christ" will be caught away together to be with the Lord for ever. We believe that the catching away will occur in the Spring, in fulfillment of the shadow cast by the Ascension of Jesus and the captives raised on First Fruits after Him. We also believe that Pentecost is the pivotal feast that God once again uses, as He initiates His final campaign to drive the Jews to recognize Jesus, as He said was His aim. These Scripturally developed beliefs places some very specific times into the equations of when the Biblical timed event of the Rapture must occur in real time. At the time Jesus died and rose, First Fruits occurred on the fourth day after Passover. He ascended forty days later, and ten days after that, on Pentecost, Jesus of Nazareth was offered as the Messiah via the house of David, a Jew, fulfilling God's promise to the world. But the Jew did not accept that. So, God made a new offer to the gentiles, and put a parenthesis around the Jews, while He turned His attention to the implementation of His secret plan for the world to receive His redemption. He returns His attention back to the Jews, after completing his plan of redemption, as carried out via the Church, and finds the Jews right back to where they were when He left them. Through the fulfillment of His word, the Jews are re-gathered in the land of Israel, and are in the same circumstance now as when they were abandoned; in need of a temple to keep the law, and a peace with the Roman Empire. God reserved a seven year time in their future when this would come about. It is upon us, and we are living it! We are separated from it only by the distance of how long it will take to secure the peace, and you will know by that sign in what year it has the opportunity to take place no later than Pentecost of that year. I believe that by understanding this, one can easily see that there are two distinct and separate covenants under which the world lives. The gentile covenant of grace, the Church, concludes with a catching away of it's members, to safety from the wrath that is about to befall the earth in fulfillment of the prophecies. The covenant with the chosen people, the Jews, ends with a remnant of them being saved to live on in the one thousand year kingdom of Jesus here on earth, with His saints ruling and reigning with Him. How could the same covenant have two different endings? It can't, that is why there are two of them, and why one must deal with them separately. The error that I find being made in the discernment of prophecy is the failure to recognize the separation. Those who understand that can clearly see that the Rapture occurs prior to the final seven years God dedicated to completing the covenant with the Jews. What we as awake Christians are doing is watching this all come to pass, just as God asked us to do. He knew that it would strengthen our Faith to see it, and that it would revive all of those who claim Him, but have dozed off, when we courageously take up His challenge to pass this light along to our dozing brothers and sisters. As all of you who are watching are aware, the events are racing toward their conclusion. If these are the prophesied events of the end times, and I am convinced that they are, then we are only a stones throw away from the appointed time. This groups voice has been chosen to speak this Wake Up message to the Church. We are simply pointing at what to look at, and defining what you are seeing in relations to end time prophecy. But, there is an urgency building that is tangible. We need to expand our work, do more teaching and awaken more people. That takes people, time and money. If you are awake, and looking, and seeing, then YOU are the corps of people who Isaac Newton was talking about in his prophecy about end times. It is your responsibility to help in every way to pass along this message. It's time for this Ministry and it's message to move out into the mainstream. The Churches need to hear it. God is calling together the team that will bring it forth. And, who He calls, He enables. If you will recall, not long ago I addressed the subject of Biblical Time. In the modern age of Gregorian Time, we can loose sight of the understanding that this modern time is included within Biblical Time. Because the events in Biblical Time have been occurring since, as Genesis 1 puts it, "In the Beginning . . .", and because we as Christians believe that the Bible is the true word of God, we understand that there is a point in Gregorian Time when it will become the same time as the Biblical Time, when the scattered Jews of the world are reunited back in the land God promised Abraham, so that the remainder of the prophesied time and events, scheduled after the occurrence of that event, can come to pass. During my lifetime, as in many of yours, Gregorian Time and Biblical Time did meet, at the surface, so to speak, and became Modern Biblical Time, as manifested in the fulfillment of God's word by the re-creation of the State of Israel in 1948. We have been in traceable Biblical Time ever since. So, 1948 was the point in time that started the "Gregorian Clock", that will track the days and events of the prophesied Biblical "end time" to their conclusion. Modern Israel's growth reflects the struggle of Biblical Israel's growth, which we can trace in history. But not until we examine and see, in overview, Modern Israel's past, will we be able to see and trace how God's plan is unfolding in it's time, as He said it would. That clock has been ticking for fifty years, now there is a past, in Modern Biblical Time, that can be examined, to find out what Biblical Time it is. A simplistic condensation of the Biblical End Time Prophecies tells a story that upon God's return to complete His covenant with the Jews, He will find them exactly where they were when He left them, to deal with the parenthesis people, The Church, and in the same situation, i.e. in Israel, with no temple (redemption) and in need of a treaty concerning peace, security & atonement, with the Old Roman Empire. In 1948 God began to re-unite the Jews of the world in Israel. And, the present historical situation finds them about to make a treaty with a reconstructed portion of the Old Roman Empire, concerning their peace and security, and re-establishment of a place for atonement sacrifice. There speaks volumes of where we are in Biblical Time, in the Modern Time in which we live! The prophecies about the fate of the Jews are specific about who & what they concern. A mere glance in their direction by anyone who understands the Jews Biblical fate can see that it is coming to pass. They have reached a point in their negotiations where they are engaging in "Final Status" talks. Scripture identifies the Biblical Time at which God returns His attention to the completion of covenant with the Jews as the signing of that treaty, and declaring of that peace. The Church is not included in the fate of the Jews and God's dealing with them. Therefore, before God returns to complete His dealings with them, He closes the parenthesis He opened when He turned His attention from them, to the followers of the Redemption Covenant offered by Jesus, the Christ. That covenant has an entirely separate and different conclusion than that of the Jews. The New Testament's "Grace" covenant offers eternal life, which begins with the raising of the Dead in Christ and the catching away with them, of the living covenant members at the time. The Old Testament covenant concludes with a remnant of it's members alive, to live a thousand years on earth under the rule of Jesus, The Christ, after they have been saved by Him with the destruction of their enemies. Then, they will see He that they have pierced, and every knee will bend, and every one will know that the name of Jesus is above all others. The Church already knew that! That's why they are taken out of the way, and do not have to be driven to understand it like the Jews, and why they return with Christ to rule and reign with Him. The attached article uses an overview of the past few years to make it's point, but it also serves as a reference point in real time as to the reality of where we are in Biblical Time. Although this article is written with a bias on the Arab side of the question, it none the less dates us in Biblical Time, and points out, as in the Bible, the peace that is about to be concluded will not be a lasting peace. As Christians we are getting extremely close to the day marked for the final event of our covenant. We urge you, the watchers of the world, to reach out to your friends, neighbors, relatives and fellow Christian, and share with them our place in Biblical Time. You have the daily news in print and on CNN as your general reference, and you have this Ministry directing your attention to the close ups and how they fit into the timing. Although we are not yet close enough to make a call about this years chances of being "the year", we are close enough now to begin sending the Wake Up message loudly, to everyone, and to remember, that receiving it, carries a responsibility. Our duty is to make sure to pass it along. Many unaware Christian people will be influenced by seeing what significance the Mideast peace has to the Rapture of the Church. Our growth is the direct results of your efforts to pass on the light of this message, and are measurable by the 255 subscribers from 30 countries, to our newsletter. We have added 60 new members since the last campaign to spread the light. It's time to do it again! Lets all make it a pledge to tell at least 1 person next week. Send them to CHN for the details. Lets make it 300 members by the end of the year! I also include an article that is a letter to King Hussein from a Jew in Canada. It goes a long way to answer those who write to me telling me that King Hussein could never be accepted by the Jews, and that no one even knows him. Thank you for listening, keep watching and God bless. Jesus is Lord and God is in Control. Clinton arrived to blaring trumpets very late Saturday evening. He arrived in Israel, not Palestine, and no one should doubt that basic significance. One of the greatest ironies of this generation is that while the world mobilized to bring the Apartheid of South Africa to an end, at nearly the same historic moment it allowed the U.S and Israel to implement a variant of Apartheid in the Middle East. Another generation of conflict is thus ensured, no matter what the politicians of the moment proclaim. Whatever further symbolism takes place with Clinton's Gaza visit, it is sure to be feverishly played up by the Arafat crowd. But the basic reality that Gaza has been twisted into a ghetto/prison surrounded on three sides by an Israeli-patrolled electrified fence, on the fourth by the Israeli-guarded sea, and internally "policed" by a quisling regime, cannot be masked indefinitely. This "peace process" is build on political quicksand. After nine unprecedented days together at Wye Plantation the protagonists couldn't even agree on the relatively simple matter of who among the Palestinian prisoners would be released. When it comes to the "Palestinian Covenant", supposedly the reason for Clinton's visit, Arafat hasn't even managed to gather a quorum of the once proud Palestine National Congress, not to mention pursue a serious formal vote on such a weighty matter. And with Ariel Sharon in charge of the "final agreement", Israeli settlements still expanding at feverish pace, and "by-pass" roads increasingly criss-crossing the very areas Arafat claims for his quasi- State, the future may not be clearly foreseeable, but what is at least clear is that what Arafat keeps proclaiming is certainly not what is coming to pass. About the only thing the Arafat regime manages to consistently pursue is to bribe and cajole many into parroting its own slogans while repressing everyone else into fearful silence and depressed acquiescence. The fragmented and confused remains of the Palestinian nationalist movement has been meeting in Damascus in recent days, declaring their disgust with Arafat and all that he has wrought. But they not only lack the requisite power and resources to pursue their goals, they lack basic cohesion and strategy as well, thus constantly relegating themselves to marginality on history's sidelines. The Jordanian Hashemite regime, colluding with the Americans and Israelis more than ever before, prevented many Palestinians from crossing the border and even getting to the Damascus meeting. And the 300 or so Palestinians who did manage to gather there hardly even managed to get the world's attention at a time when world attention is focused on their very concerns. American Presidents come and go; the U.S. has serious institutions and long-term strategies that transcend individual administrations. Too many among the Arabs just don't seem to understand this basic reality, essentially mortgaging their own fate to whomever happens to be in the White House at the moment believing that a few kind words are a substitute for actual policies, even while history constantly proves otherwise. But unlike the Arabs, Western countries, and that includes the Israelis, have serious institutions and strategies transcending individual leaders and "regimes." At the political level, the Arabs today are little better off, as the millennium nears its turn, then they were generations ago at the time of the Ottoman Empire's collapse. They were as out maneuvered at the Madrid Peace Conference of 1991 as they were at the Paris Peace Conference of 1918. Their corrupt, inept, and infiltrated "client regimes" continue to be easily manipulated by the tried and true "divide and conquer" approach. With such an historical dichotomy, the West manages to get one Arab leader or another to sign this agreement or that, constantly pushing forward their own interests while Arab interests, not to mention rights, are constantly trampled under. Until the nationalist Palestinians and their supporters seriously organize themselves in a coherent and determined way to oppose the Apartheid Reservations fate, their destiny will continue to be subverted. Ongoing and sophisticated opposition using modern means of communication, as well as the building up of sustainable institutions that can both conceive and pursue alternative policies and principled goals, are what today's situation urgently requires. I WRITE this letter as a Canadian of Jewish descent living in the United States. I have been moved to write this letter to you having just observed an interview with Queen Noor on the American TV programme "The View." It is not normally my practice to write such a letter, but I have been inspired to do so by the interview, which caused me to reflect on what type of person you must be. As I considered what I knew of your life I have come to the realization that you are one of those rare people in this world who exemplify holiness in the highest sense of the word. You have made a significant and positive difference to the world at large and in the troubled region of the Middle East. Your life's work serves as an inspiration to all of us who care about peace, understanding and tolerance among the diverse cultures and religions of this earth. I was pleased to hear that you have overcome your recent illness and I wish you a long life of happiness and contentment. I thank you for inspiring me personally. The Israeli PM, Benjamin Netanyahu, is not fooling anyone with his reasons for the suspension of the Wye Accords. The US as well as the Palestinian Authority can see through the ploy he is using to keep a strong position in his coalition, resulting in the Palestinian decision to continue with their part of the agreements. However, the phone lines between Israel and Washington are burning up with heated conversations between Madeleine Albright, Bibi and Ariel Sharon. The US is just not buying the rhetoric, so Sharon is headed to Washington next week. The President is going ahead with his plans to visit the region as scheduled, and plans by the Palestinians to change their constitution, eliminating the section that calls for the destruction of Israel, are moving forward, as agreed in the Wye Accord. Ariel Sharon wants to get an extension on the May, 1999 completion date for the final status talks. That's not good news for Christians expecting the Rapture in this coming window. The attached article confirms that the final peace agreement is to include settling the status of Jerusalem. The Temple Mount status is part of the Jerusalem question to be settled. God's in control, and Jesus is Lord! Here is the confirming article to my commentary. JERUSALEM (CNN) -- Palestinians will fulfill their part of the Wye River land-for-security agreement despite Israel's decision to suspend its implementation, a senior aide to Palestinian Authority President Yasser Arafat said Friday. "As for the Palestinian Authority, it has and will continue to implement its part of the Wye River agreement," said Arafat spokesman Nabil Abourdeneh. Palestinian officials on Friday demanded Israel carry out its implementation of the agreement, signed October 23. The Palestinian Cabinet was scheduled to meet Friday evening to discuss plans for a December 14 gathering in Gaza City -- to be attended by U.S. President Bill Clinton -- that is to usher in the second stage of the peace agreement. The Clinton administration believes this latest snag in the peace process is not a real crisis and will be resolved before Clinton's trip to the region, the Israeli daily Yediot Ahronot reported Friday. The newspaper quoted unidentified U.S. officials. Israeli Prime Minister Benjamin Netanyahu announced earlier this week that he was suspending a West Bank troop pullback until Arafat dropped plans release of prisoners. On Thursday, Netanyahu and U.S. Secretary of State Madeleine Albright spoke by phone. Netanyahu aides say the Israeli leader assured Albright he was not setting new demands, but rather insisting the existing ones be met. Palestinian officials have said they believe Netanyahu created the crisis to appease hard-line members of his government, and to strengthen his shaky coalition. In their meeting Friday, the Palestinian Cabinet and the Palestine Liberation Organization Executive Committee were to discuss convening the Palestine National Council, and other groups, for the December 14 event. On that date the PNC -- the Palestinians' parliament-in-exile -- and the other groups are to "reaffirm" a letter Arafat wrote to Clinton in which Arafat declares anti-Israeli clauses in the PLO charter to be null and void. 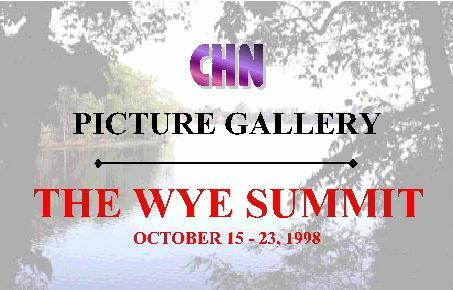 The session to officially alter the charter was called for under the Wye accord. Also on Friday, a spokesman for Israeli Foreign Minister Ariel Sharon said Sharon was to leave this weekend for Washington to meet with Albright and senior Clinton administration officials. The latest crisis with the Palestinians would be the first item on the meeting agenda, said Raanan Gissin, Sharon's spokesman. The foreign minister is also expected to present his ideas for a permanent peace settlement with the Palestinians. He reportedly plans to seek a postponement of the May 1999 deadline for reaching a final peace settlement. In exchange for a postponement, Sharon would reportedly appease the Palestinians by granting near-independence in West Bank and Gaza areas already under their control. The final status negotiations began last month, but the real work lies ahead. The final peace agreement is to include settling the status of Jerusalem. As one could expect, once again there is violence in Israel, and the governments is threatening to stop the withdrawals unless Arafat and the PA do more to stem the tied of violence. So, from the looks of things, we can expect the saber rattling to go on, and the peace to continue to be a slow process. If it's to be this coming year, the final status talks will have to get going, and move right along. It is still to early to call. I can only say that I'm glad God's in control. He has His finger on the Biblical set time for all this to come to pass. You can count on that! On the brighter side, The King is getting praised again, and so is the Queen. Everybody loves the Husseins - might make a good TV sitcom! - Well, it makes for good Bible prophecy fulfillment, anyway. Nelson Mandela of South Africa praised the King saying, "His Majesty has magnificent and living fingerprints on the peace process", referring to his work on the Wye Accord, and the Voice of Islam Foundation named Queen Noor Woman of the year! God really made them the ideal royal couple. Seems like Diana's death opened the door for the new first lady of the world - Queen Noor. We'll keep watching and reporting. Here are the confirming news articles. JERUSALEM (December 3) - The government last night warned the Palestinian Authority that the next stage of withdrawal from the West Bank will not be carried out if it does not halt violence, accept that prisoners with blood on their hands will not be released, and renounce its intention to unilaterally declare a Palestinian state. The warning came following an attack by a Palestinian mob on an Israeli civilian and soldier driving near Ramallah yesterday. The IDF blamed the Palestinian Police for not halting the attack. Although apparently spontaneous, the assault was filmed by Palestinian photographers. Palestinian policemen, however, did not immediately intervene. The mob beat the soldier, who had hitched a ride, and set the car alight. The soldier's rifle was taken, but was returned by the Palestinian Police last night. The army said the two Israelis managed to make their way to a nearby army installation. Both were treated for their injuries, which the army said were light. The soldier, Cpl. Assaf Meara, was later hospitalized. The Prime Minister's Office issued its warning after Prime Minister Binyamin Netanyahu consulted with the security cabinet. "The PA must unequivocally clarify that it is committed to the agreement reached at Wye, under which prisoners with blood on their hands and Hamas members will not be released. The PA will unequivocally announce that it is abandoning its intention to unilaterally declare a Palestinian state and will announce its commitment to continuous negotiations until a permanent arrangement has been achieved. The PA will immediately stop acts of incitement and violence and will promptly punish the rioters," the statement said. Netanyahu said that Israel sees the PA as repeatedly violating the Wye agreement. "The PA encourages acts of violence, like the brutal attack [yesterday] in Ramallah, in an effort to put pressure on Israel over the prisoner issue," he said. Following the incident near Ramallah, the IDF pointed the finger at the Palestinian security forces. "We place the responsibility on the PA and Palestinian security forces, whose job it is to prevent unrest in their area," said OC Judea and Samaria Brig.-Gen. Yitzhak Eitan. "In this instance they didn't do anything they are obligated to do." The incident began yesterday afternoon when businessman Yehuda Oliva, 51, reached the Israeli-controlled "Ayosh" junction on his way from Beit El to Jerusalem. Some 150 Palestinians, many of them students from Bir Zeit demonstrating for the release of prisoners, stoned the vehicle. Oliva said he halted when his windshield was smashed and he yelled at a soldier he had picked up to run for safety. "I opened the door and yelled at the soldier to get out, and I fled toward Beit El. A shower of stones followed me and hit me," Oliva told Israel Radio. According to witnesses, the Palestinians beat and kicked the soldier before he ran off bleeding. The army said his M-16 was stolen. Witnesses said the Palestinian also took Oliva's cellular telephone and briefcase. The demonstrators then poured kerosene on the car and set it alight. It was not immediately clear why the soldier did not use his gun, and the army said an investigation would begin once he had recovered from the shock. Troops rushed to the scene and opened fire with rubber bullets to disperse the rioters. Palestinian policemen then also intervened to turn back the mob. Palestinian officials said the unrest lasted about half an hour and about 15 people were injured by rubber bullets and tear gas inhalation. Sources at Khaled Hospital said nine students had been treated there, seven wounded by rubber bullets, including a girl hit in her left eye. IDF commanders met with their Palestinian counterparts and demanded that the soldier's weapon be found immediately and returned. OC Central Command Maj.-Gen. Moshe Ya'alon issued orders barring a convoy of Palestinian policemen from leaving Ramallah, pending completion of the investigation and the return of the rifle. The Council of Jewish Communities in Judea, Samaria, and Gaza said in a statement that the attack was the result of "organized incitement by PA officials to harm settlers." Diplomatic tension, meanwhile, is mounting up over the nature of the Palestinian National Council meeting on the Palestinian Covenant due to convene December 14 in Gaza in the presence of US President Bill Clinton. Under the Wye agreement, the Palestinians promised to convene the council to "reaffirm" the peace process and changes in Covenant clauses calling for Israel's destruction. The Palestinians say there is no need for a vote on the changes and a vote would not be binding. The US agrees the word "vote" does not appear in the agreement, only the word "reaffirm." Israel, however, insists that this requires a vote. "What other way is there to endorse or reject a motion without a vote?" said David Bar-Illan, Netanyahu's communications director. Although the PA has begun asking Israel to allow some 25 PNC members to enter Gaza from abroad for the meeting, there are no signs that the 200-300 members abroad have all been invited. Israel is reportedly waiting until closer to the date and until the nature and format of the meeting become clearer before deciding whether to grant all the permits. Among the names is Farouk Kaddoumi, an Oslo opponent, who was previously denied a request to enter the autonomous areas. Last week Brig.-Gen. Amos Gilad, head of the Intelligence Corps research department, told the Knesset Foreign Affairs and Defense Committee the PNC will apparently meet in a "popular convention" format without a vote. Gilad also said that, from the Palestinian viewpoint, the Wye agreement and all the commitments it contains are valid only as long as the interim agreements are in force, until May 1999 unless extended. In a related development, the Government Press Office yesterday released a long list of statements by PA Chairman Yasser Arafat, which it says violate the accords by threatening or inciting violence or announcing the intention to unilaterally declare statehood. "The incitement by the Palestinians, from Arafat down, is frightening when you see it being translated into the events in Ramallah," Bar-Illan said. The trilateral panel on combating incitement also met yesterday. The panel, established under the Wye accord, is comprised of Israel, the US, and the Palestinians. No details of the meeting were available. Earlier this week, Netanyahu sent Clinton a letter citing violations of the Wye accord and asking for US pressure on the Palestinians to stop them. The violations are in four major areas: the threat to unilaterally declare statehood; the decision not to hold a vote on the Covenant; continued incitement; and the demands regarding the release of security prisoners with blood on their hands. Bar-Illan said the intention to unilaterally declare a state violates the very principle of the diplomatic process that decisions will be made through negotiations. Regarding the prisoners, he said criteria had been established and agreed on at Wye. He also noted that some 7,600 prisoners have been released since the start of the Oslo process. Foreign Minister Ariel Sharon is to visit Washington on Monday, after having postponed this week's trip due to coalition developments. Sharon is to meet with Secretary of State Madeleine Albright and National Security Adviser Sandy Berger, and may meet with several members of Congress, although Congress is now in recess. Vice President Al Gore has also asked to meet with Sharon, an Israeli Embassy official said. Hillel Kuttler and news agencies contributed to this report. AMMAN (Petra) -- President of South Africa Nelson, head of Non Aligned Movement's Conference on Monday hailed His Majesty King Hussein's remarkable efforts to make the peace process in the Middle East continue, particularly, on the Palestinian Israeli track. In a message he sent to a special function marking the World Day of Solidarity with the Palestinian People, President Mandela highlighted the laborious efforts His Majesty King Hussein, successfully, exerted during Wye River negotiations . "His Majesty has magnificent and living fingerprints on the peace process. Receiving medication has not prevented His Majesty from following up his National message to achieve a just, comprehensive and lasting peace in the region," Mandela said in the message which was read on his behalf by South Africa's ambassador to UN. The president wished His Majesty King Hussein speedy recovery and a safe return home. AMMAN (Petra) -- The Voice of Islam Foundation has chosen Her Majesty Queen Noor as the woman of the year 1419 Hijri. Queen Noor was chosen in appreciation of her tremendous services and support to humanitarian issues in the year. Although the news has been slow concerning the peace, today two interesting articles appeared. The first is about the B'nai B'rith International nominating King Hussein for the Nobel Peace Prize! That follows, everyone else has given him one, and the other is about a delay in the Final Status talks. But, I find it significant that the Jews are nominating the King for the Nobel Peace Prize. Seems that everyone involved in the Final Status talks has to go to Washington first. Ariel Sharon, the chief Israeli negotiator is slated to visit Madeleine Albright, and Yasser Arafat is having lunch with President Clinton. When they get back, they will resume the talks. I guess they need a briefing! On the other fronts, the Palestinian Airport, Yasser Arafat International, "got off the ground", so to speak, and lots of dignitaries landed and were welcomed by the PA's chief himself. So, the Wye Accord seems to be moving along nicely. But, it's still the final status talks that we need to watch. They're what speaks loudest to us! Here are the confirming articles. Wed Nov 25 , 1998 -- The prominent Jewish group, B'nai B'rith International, has nominated Jordan's King Hussein for the Nobel Peace Prize. Hussein's ``personal participation ... was instrumental in the success'' of the October talks at Wye Plantation that led to an Israeli-Palestinian accord, B'nai B'rith president Richard Heideman said in a letter to the Nobel Committee. Hussein left the Mayo Clinic, where he is undergoing cancer treatment, to help push the talks that often appeared at the verge of collapsing. ``As perhaps the one person with sufficient trust and respect of the parties to guide them to an agreement they might not otherwise have reached, he was indispensable,'' Heideman said. Hussein signed a peace treaty with Israel in 1994, making Jordan only the second Arab country after Egypt to make peace with Israel. GAZA CITY (AFP) — Israelis and Palestinians have postponed the formal opening of negotiations on a permanent peace accord from this week until early December, Palestinian officials said Tuesday. Nabil Shaath, the Palestinian National Authority minister for international cooperation, said the so-called final status talks could not begin this week as scheduled because the chief Israeli and Palestinian negotiators are both traveling to Washington. The ceremony officially launching the negotiations, which must tackle the core Palestinian demand for an independent state with Jerusalem as its capital, will be held Dec. 2 or 3, he told AFP. Israel's Foreign Minister Ariel Sharon and Palestinian deputy leader Mahmoud Abbas, held a first meeting on the final status issues last week at the foreign ministry in Jerusalem. But the Palestinian side insisted the actual negotiations be launched with a formal ceremony in the Palestinian territories and Sharon agreed to hold the event sometime this week. Both Abbas and Sharon however are traveling abroad this week, so they agreed to postpone the meeting for another week, Shaath said. Sharon is scheduled to travel to Washington Thursday for talks with U.S. Secretary of State Madeleine Albright and other officials in preparation to the final status negotiations, the foreign ministry said. Abbas is then due to accompany Palestinian President Yasser Arafat to Washington on Saturday to attend a conference of international donors to the Palestinian National Authority, Shaath said. Arafat is scheduled to meet U.S. President Bill Clinton at the White House for lunch on Monday, he said. It was the latest in a series of delays in implementation of the Wye River interim peace agreement signed last month in Washington by Clinton, Arafat and Israeli Prime Minister Benyamin Netanyahu. Over the past couple of years I have received many questions concerning Denominationalism. And, today I received a letter from a Watcher, that addresses the subject, and what this Ministry's views concerning it is. I think this subject is important enough for me to comment on publicly. The following letter pointed out to me just how important . . . Thank you for sending your video to our little prayer group. Thank you so much! Tonight at our end times Bible study we used it. Everyone was so touched by the message at the beginning of the tape. Your ministry has certainly been a candle to us, and now from us, to others. I personally appreciated the fact that you are not judgmental about denominations. This is important to me and to our groups who are multi-denominational. I feel that the message, to Wake Up and Watch, of this Ministry reaches far beyond denominationalism, because I am addressing Christians with it. Christians are people who follow Christ. Jesus of Nazareth is Christ! Everyone out there that I am addressing right now knows Jesus of Nazareth is Christ! They belong to Him. We are reborn in spirit! We are new creatures in Christ! We live in the certain knowledge that our names are written in the book of life! We expect to be Raptured! All of this, because we are Christians! But, what is required of us? What are the terms of our covenant? The word Faith, as defined in the English language means: belief. But God did not pick the word belief, He picked the word in the Greek: Pistis. The English translation of Pistis is Faith, but the meaning of Pistis in the Greek is a little different. Pistis is defined as: Action, based upon belief, supported by confidence. I think the perfect example of Faith (Pistis), are the lepers that Jesus sent to the High Priests to show them that they were cleansed. The faith was demonstrated in the going . . . the action they took, based on the belief they had that Jesus could cure them, and supported by the confidence that they knew if He said go show yourselves, you can count on it being so. That's what the Greek word Pistis means. And, it is any act that one performs in his life, that is directed toward God for that purpose, that God considers Faith of the saving nature. The way we worship God is not important. The ACT of worship is what God places such a high value on. None of us, no matter what denomination we claim, knows how to do it right, because there is no "right" way! There is only Action! When you act in faith, whether it is a prayer in private, or major donation to your favorite preacher, as long as the act is based upon belief that when God says something he will do it, it is accepted by God as and act of Faith, and the reward is salvation. With that understanding, one can readily see that the preferences you have of the type of fellowship, or need for close adherence to the commandments, or belief that certain worldly pleasures are sinful, etc., etc., etc., don't really have any meaning except that it is your preferred way of acting on God's word. That makes all actors on God's word, God's children. And, as such, entitled to the reward that comes with the promise of salvation. It is not for us to judge how any individual is working with, or being worked on by God. The relationship is personal, no matter what kind of a Church building you are in. When you meet the requirements as laid down in a last will and testament, the executor is obliged to carry out the order of the will. It is not his place to judge how you did it, only that you did do it. So it is with God's covenant, He gave His word on it, and expected only that you act on that. I look at denominations as veins in the body of the Body. Veins carrying the blood of salvation to every member of every denomination in existence. We are all under the same covenant! And God uses everything for His own good. Jesus is Lord, and we are Watching and passing on the light. The reason I love prophecy so much is because it allows one to close their eyes, and in your mind, visualize all of the circumstances of the events prophesied in the Biblical scene, and allows you to see it as though you very high above the stage. Way off in the distance, you could see all of the Kingdoms and all of the lands. It's as if you can see from afar and up close, at will, and be a part of the intrigue and drama that they describe. The story that they tell, written as a novel, would be compelling reading. The plots and counter plots that the players in the drama might only be imagined, but for the comparison we have, of our own time, and how the "Kingdoms" of this world operate today. I am a believer in the saying that "Nothing changes, ‘cept the changes, every thing else stays the same!" Putting life into the characters and visualizing before you, the entire stage, with all the simultaneously occurring events, focusing in close on one part, and then back out to see the effect of all the manipulating that is going on among the characters, as they play out the drama of Satan's rise to his final fall, is my kind of thing to do. And I love how it makes me understand just how in control God really is. Today I can see, with my eyes open, the story, for real, of the end time of the Jews and Jerusalem, as it plays out it's prophecies on the stage of present day history, and see the curtain going up on the drama that was written, produced and will be directed by God Almighty Himself. 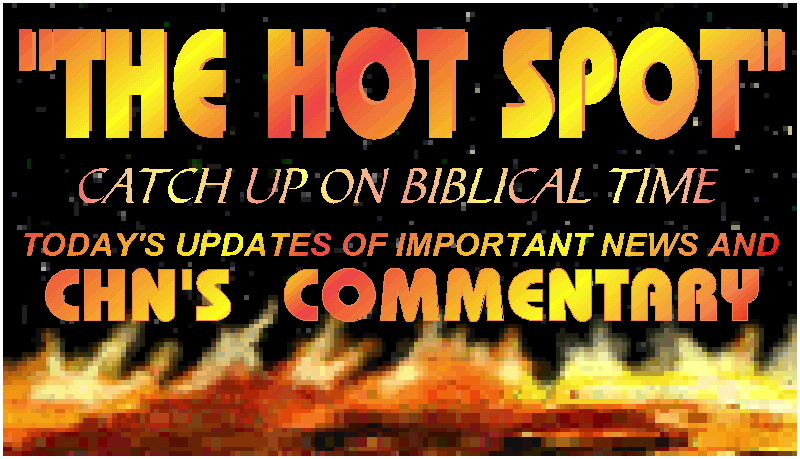 What one knows from the story Scripture tells, and what the roles are of the characters, and what those characters are being led to accomplish, we can, if we are indeed living in the end times, see that very scenario, leading to that very accomplishment, acted out on a visible Middle Eastern stage. If not, then end times is still off in the future. Because God had the forethought, before the foundation of the world, to tell Daniel to seal his book, until the time of the end, we would surely see such a well written drama, on the stage of history when history finally catches up to it's time. Well, that aint necessarily so! As and example, I cite the prophecies concerning the coming of the Messiah, which were numerous, and looking back on the story, we say, "how could they missed him so badly", after having it preached to you for sixteen years, and finally reject it as false. The end time drama, although written by God, and very exciting, in my humble opinion, pales in the light of clarity of who the Messiah was. So, again, the Jews are not aware of their own prophets. Once again they are being deceived, causing them to live right into the story line of the prophecies concerning their end times. Until I understood the meaning of the prophecies and their characters and the roles they play, I never really thought much about Israel and the Arabs, except that they were still fighting over a 3,000 year old Biblical feud, and didn't watch much closer than that. It was about 20 years ago that I learned the teaching on the Prophecy of Daniel, and where it fit into the story of Mankind. I learned that teaching by heart, and have been hooked ever since on finding the events depicted in the prophecy spilling out onto the stage of history. It was my brother that was shown that King Hussein would rise to be the false deliverer of the Jews. When he told me, we both had to look up on a map to find Jordan, and who King Hussein was. But that was the beginning of our watch; that was 19 years ago, when the King was instrumental in making peace between Egypt and Israel. The popular prophecy preachers of the day were all screaming Daniel 9:27. But our analyses of the Biblical stage, and the stage of the day saw that they were completely different - so we knew it was not the time. Following it that closely all these years gives one an insight as to what all the movements on the stage, and all the posturing of the players, means in light of the end time prophecies. We think that the increased knowledge that comes along with the unsealing of the prophecy grows as time passes. At first, you immediately know who the players are. Then you follow all their intrigues, and see how it plays into the theme of the drama. Then you can watch it as it moves along on it's path. His casting is superb! And, they are all still kings! I was watching the news the other night, and I saw a story on Ben Laden, and the pictures they had of him, showed him dressed in his Bedouin clothes, and it all came to me. The epoch is Biblical, and that hasn't changed, only the size of their weapons, and their transportation and communications. The characters are still Biblical, and the setting is still Biblical. God is dealing with them, just as if nothing has ever changed - just some time went by. That's when I stepped back to the far away place of my mind, and really lived the scene! I watched all of the play, ploys and charades that are going on in real time, rushing to reach a time that they should be, but aren't, aware of, that is leading the Jews to the conclusions prophesied about them centuries ago. And as far as the eye could see in that visualization, the scene was Biblical! It's all still going on - Isaacs son's, Jacob and Esau fighting over the spiritual and the worldly! God set their covenant on the "shelf" with a parenthesis, and turned His attention to the Body of believers, that would make up the Church, in the latter days, before the end. The Church! We get the reward of the covenant made with us. And unlike the Jews covenant, ours has a much happier ending. God used salvation by grace as the vehicle by which he will drive the Jews, through jealousy, into seeking Him as the Lord of Lords, and King of Kings. Because we accept Jesus as our Passover, via grace, and the Atonement for our sins, the covenant with the Church is fulfilled in the Rapture, prior to God's closing the parenthesis, and initiating the final seven years history of the Jews, set aside before the foundation of the world. What we as Christians have as interests in this end time drama are many fold. Not the least of which is that we are commanded to watch. God wants us to see this drama unfolding, so you would know where you are in Biblical time. It's Biblical time that is the important time, because it is Biblical time that is coming to the end, of part 2. Also, you would be able to do as Paul taught the Thessalonians. Rejoice in the knowledge that because you are of the light, not of the dark, you will see it coming, and not have it overtake you like a thief in the night, as it will to those that are asleep. Also, there is a reward for watching. In addition, your relationship with God gets is strongest when you are first hand witness to His might. If you are students of the thesis at our web site, then you know that we demonstrate how scripture places the catching away of the Church as a fulfillment of the shadow cast by Jesus at His ascension. The Ascension and the Rapture are indisputably linked. The Ascension occurs in the Spring of the year, 40 days after the resurrection (The Feast of First fruits), and 10 days prior to Pentecost. Because the purity of the Jewish calendar may differ from that kept by God, I call that time of the year, "the window of opportunity" for the Rapture to occur. It's occurrence, in any year, is subject to the nearness of the opening event of the Great Tribulation period. Since that opening event is described in Daniel 9:27, as the completion of a peace treaty in the region, that brings peace and security to Israel, and allows for the resumption of the daily sacrifice on Temple Mount, that is what we must watch for. That's the drama that must be playing on the present day stage of history if these are the end times. When you find that going on, and it's close enough to conclude before Pentecost in any given year, then your redemption just might take place on that coming Ascension day. Because the Church will only see the prelude, or build up to the peace, not the peace itself. The peace will conclude shortly after the Rapture, no later than Pentecost. Our watching has been shared with our Internet audience for the last two years. In each of those years, as in the years before then, there were pieces of the "set", on the stage, that were out of place, or did not exist where they should have been, so we knew it would not happen then, and we reported so to you. As this years "window" approaches, the cooled off embers of the fire burning in the Mideast are burning bright. We reported early on that if this year was to have a chance, it would need to start heating up. 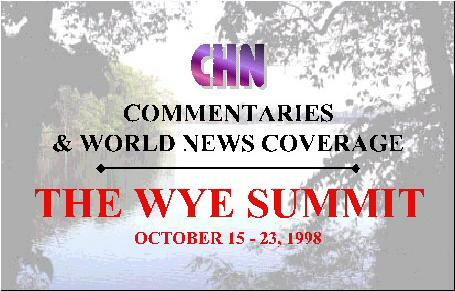 No sooner did we say that, the Historic Wye Summit was called. And, lo and behold, they seem to be carrying out their agreements. They have opened, what I believe to be the most important part of the whole deal - the final status talks. These talks are to be the settlement of the question of final borders, disposition of prisoners, and status of Jerusalem. That means what will happen to Temple Mount. If this is the treaty of Daniel 9:27, then we are getting real close. They are attempting to reach a settlement by May, 1999! The Jews celebrate Pentecost, 1999, on the 31st of May. Could this be the year? Is our watching drawing to a close? Only time will tell - Biblical Time!, that is. Keep Watching with us, and get your friends, relatives and fellow church members to start watching also. Support this Ministry's effort to get people watching the reality of the fulfillment of God's word. We are not the authors of the prophecies, or the headlines that show their fulfillment, we are just the messengers. It's time to wake up! If you have questions, drop us an email: chn@chn-net.com Lets hear from you watcher - let me know that there are people out there that are listening. We're watching Lord Jesus is Lord! Here is a little footnote in the Rise of Antichrist story. The Germans have now been added to the long list of countries who have forgiven debts to Jordan. That list included the USA, France and Italy. The total of the debts forgiven are staggering! Germany will assume the presidency of the EU, in it's six month rotation structure, and confirms that the EU will not have any plans to challenge the US's role in Mideast Leadership. More evidence that the Antichrist does not come from Europe, and that Jordan plays a more than significant part in the ongoing search for peace in the Mideast! The saber rattling coming out of Israel and the PLO seems to have quieted down today, and things concerning the Wye accord seem to still be moving in a positive direction. Don't let the saber rattling shake you though, because these guys have opted for peace, and peace it will be! The only saber rattling that one should heed is that coming out of Iraq, Syria and Libya. They are the three dissenters to peace, and soon will be uprooted. That's about it on a quiet Thursday in November. Now here's today's confirming article. KEY STATEMENT: "Jordan is of the utmost importance because of its crucial stabilizing role in the region," Herzog told reporters, underlying His Majesty King Hussein's decisive intervention in the Palestinian-Israeli negotiations which led to the signing of the Oct. 23 Wye River memorandum. The German president said Jordan will also play a crucial role in ensuring the implementation of the deal, which entails a long overdue Israeli redeployment from 13 per cent of the West Bank in exchange for Palestinian security guarantees. Herzog, whose country will assume the six-month rotating presidency of the EU in January, reiterated that the Europeans do not intend to challenge the leading American military and political role in the Middle East. AMMAN — Germany has decided to cancel all of Jordan's debt under a JD21.3 million debt-swap, German State Minister for Foreign Affairs Ludger Volmar announced Wednesday. "The German government on Friday made a formal decision to cancel Jordan's DM50 million debt, to be swapped into development projects the details of which will be discussed between the two governments," Volmar said at a press conference with German President Roman Herzog. "This cancels all current liabilities, so there will be no debt any more," said Volmar. The decision was prompted by the fact that "the peace dividends we all had hoped for have not materialized," he added. Jordan signed a peace treaty with Israel in 1994, but recurrent impediments to the achievement of a comprehensive peace, and a 19-month deadlock on the Palestinian-Israeli track broken only last month, have frustrated most Jordanians. "The amount of debt swapped may be subjected to debt conversions for the benefit of environment protection, preservation, and poverty alleviation projects," according to a press statement issued by the German government. "Half the canceled debt must be spent in local currency on projects in these sectors," the statement added. With the recent decision, a total of DM169.5 million in debt-swaps have been granted to Jordan. The Kingdom is the largest per capita recipient of German aid. Since the early 1960s, the state-run German Development Bank has committed $750 million to Jordan, a third of which is involved in ongoing projects. Germany's aid to Jordan has taken many forms over the years, including technical assistance, development programmes, direct financial aid, soft loans — totaling DM300 million — and debt-swaps. The "unique ties of warm friendship" between the two countries were hailed by President Herzog. "Jordan is of the utmost importance because of its crucial stabilizing role in the region," Herzog told reporters, underlying His Majesty King Hussein's decisive intervention in the Palestinian-Israeli negotiations which led to the signing of the Oct. 23 Wye River memorandum. "It would not make any sense to enter into competition [with the U.S.]," he told reporters, adding that Europe intends to help regional development through economic assistance and educational and training programs. Herzog arrived in Amman on Tuesday on the third leg of a Mideast tour which included Israel and the Palestinian self-rule areas. Jordanians gave the German president, his wife and their accompanying delegation, a warm welcome, with banners hailing their visit in different parts of the city. Herzog is scheduled to leave today after visits to the archaeological and tourist sites of Petra and Aqaba.